Good Evening! 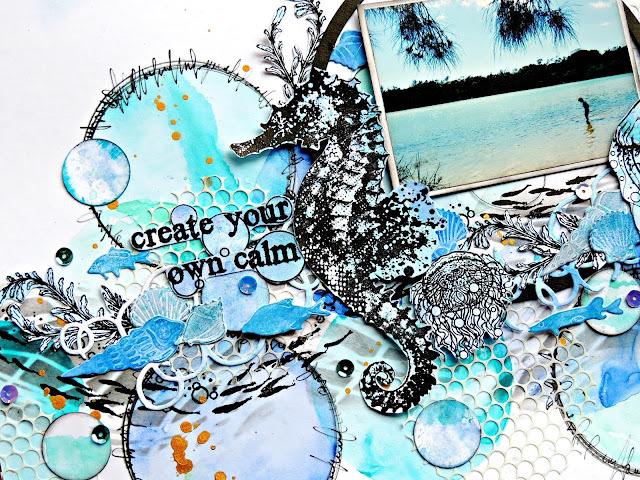 We are back with more fabulous inspiration this evening..
Today I would like to share a layout that I have created for the Visible Image Design Team. I added layers of colour drying in between and continually adding water and letting them take their own course. Once I was happy with the colours I spritzed the whole piece with water and ran a roll of paper towel across it to pick up some of the colour and leave random whiter marks. I have then stamped the flowers and fussy cut them out. 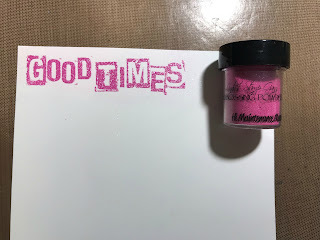 I have stamped the saying ‘Good Times’ from the No Regrets Stamp collection and embossed with Lindys Stamp Gang Embossing powder. I didnt want straight edges so I have cut around the letters and placed onto my layout. 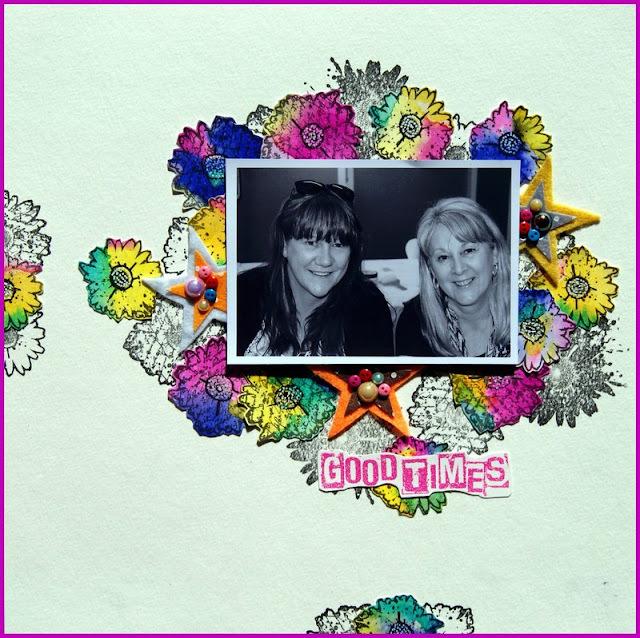 Fabulous layout Lynn.. the flowers look gorgeous and it’s such a happy photo! 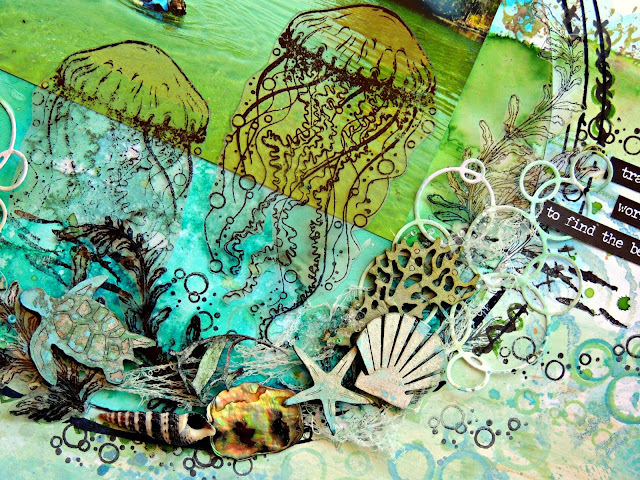 We will be back later with a fantastic project from Veerle. Hello! Not long to go now until we close for the Christmas holidays for some much needed rest and lovely family time! Today is my last design team inspiration piece for the year for Visible Image. The next time I am back with some Visible Image inspiration will be in January when we will be starting to showcase their totally awesome new stamps! For today I thought that I would weave a little Christmas magic and share a final post of our wonderful Disneyland Paris trip with Daisy. 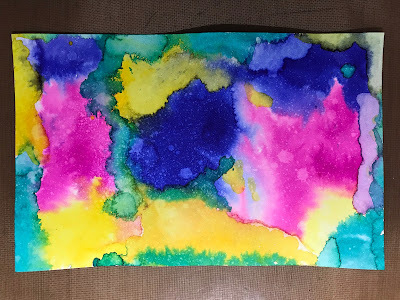 This is the second art journal “Moment” I made to remember this magical holiday. We were visited by the gorgeous Cinderella, Rapunzel, Snow White and Belle..
Daisy was totally entranced and honestly believed we were in the company of the real deal. The princesses were so professional and treated our darling sweetheart like a real princess. They really took the time to talk to her, sign her autograph book, pose for photos and admire the Princess Anna dress she was wearing. 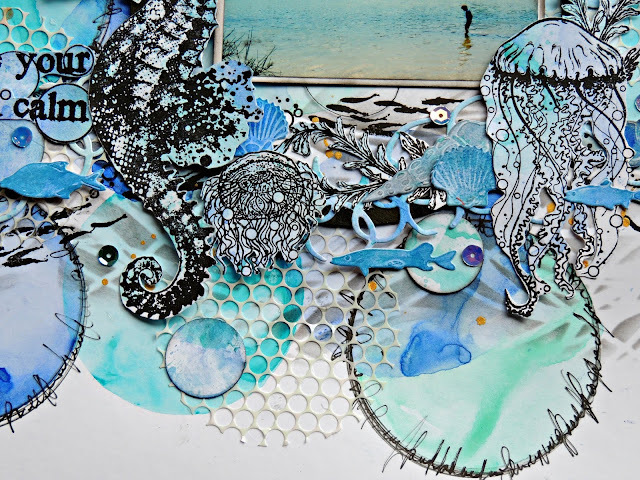 I added some infusions and distress oxide ink to my mixed media card to start to create a magical background. Salty Ocean is a great Cinderella colour, perhaps I might rename mine Cinderella Blue! as a reminder of that moment in time with the Princesses. ‘Make a Wish’ from Own it! So here is my finished Moment.. I have finished off the last of my last Christmas makes. My crackers for Christmas 2017 are ready for the table and I will be back to share them very soon over on my blog. Thanks so much for stopping by today and taking the time to leave your kind comments, especially at this very busy time of the year. I hope that you have nearly finished all your Christmas preps too. Thanks for visiting our blog today today! Hope all your Christmas preparations are going well. Hello! 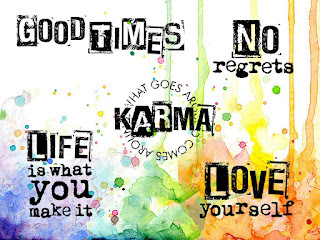 We hope you have had a good start to the week. If you are here in the UK we hope you are staying warm in the cold weather we are having.. we really aren’t used to it!! 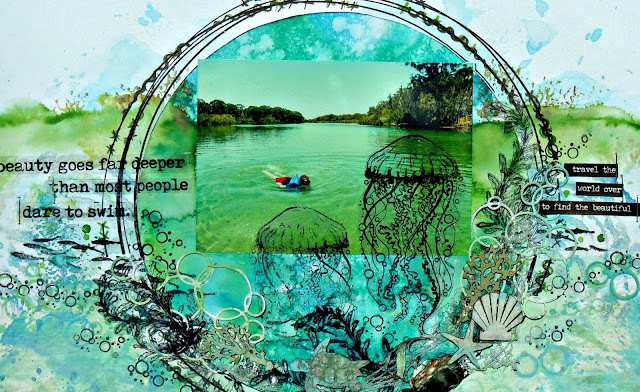 Good Evening, it’s time for my weekly dose of inspiration for Visible Image and for today and next week’s posts I am sharing 2 Moments I made for Jane’s Journal using their awesome stamps. They are Moments of our recent wonderful holiday in Disneyland Paris. Such sweet memories of 5 days with our own Princess who loved the castle so much! We were so lucky with the weather, despite being mid November we had a couple of days with bright blue skies and sunshine and at one point we were able to take our coats off. I knew which of my photos I wanted to remember those days by and chose the one 1 took of the castle when were were sitting on the train which runs round the park. We took this the first afternoon we arrived. We had our cases taken to the hotel so we just walked straight into the magic of Disney. This was taken just before dusk when the moon had risen in the sky. The sky gave off a pink tinge and there was a gorgeous golden glow in the air. It really felt magical. I wanted to try to include all these memories in my Moment. So this is what I got up to.. I gold embossed the cogs from the Somewhere in Time set around the edges of my page. I then carefully and slowly built up the colours for the background using blues with a little pink distress ink. I wanted to try to mimic the sky that evening. at the bottom of my page I added some golden hues. 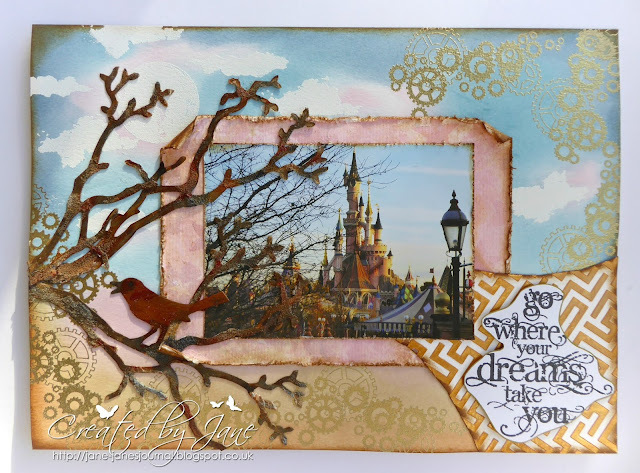 The trees were bare and we could here a bird singing as we sat at the station in Fantasy land so I used my Tim Holtz die to cut a bird and branches to capture that memory. 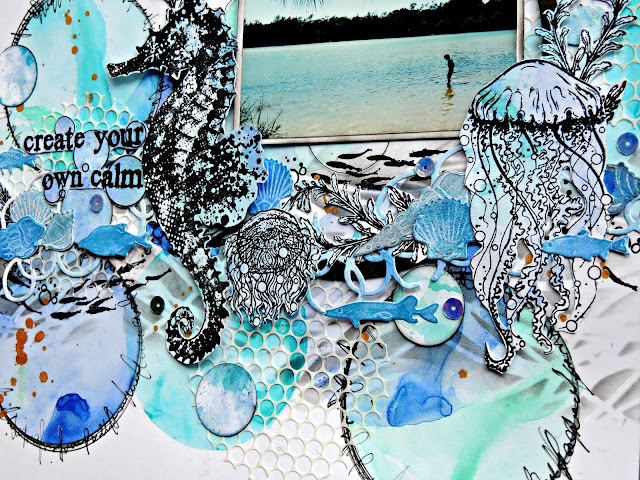 I gave them lots of texture and colour with DecoArt texture sand and acryllic paints. The pathway was made using the Geometric Maze stencil and gold embossing paste. I used the sentiment from Where Dreams Take You, it was perfect for my Moment. I also stamped stars from the Rock Out set to the backing card for my photo. It really was such a magical time, made even more special by sharing it with our 4 year old granddaughter. I hope that one day when Daisy looks through Jane’s Journal she too will be able to remember that special time. Next Monday I will share the Cinderella Moment I made, again brought to life by the versatile Visible Image stamps. 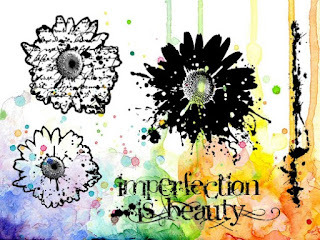 We will be back later with awesome inspiration from Heather Mitchell! Elisa here from the design team for Visible Image with my next share for the month. 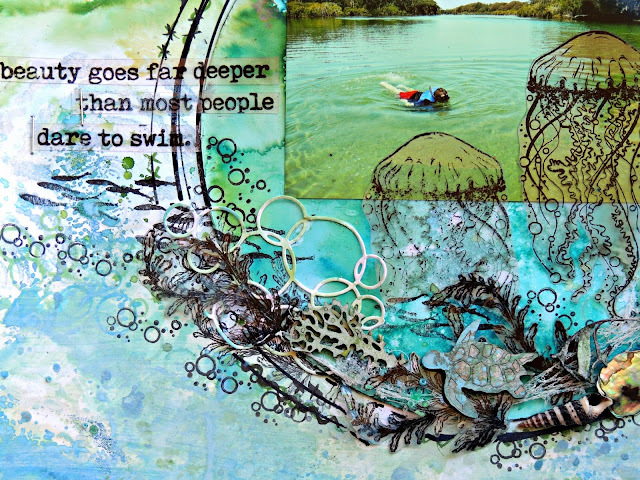 I wanted to showcase just how versatile the awesome stamps at Visible Image are by creating a multi dimensional mixed media layout featuring ‘Dare to Swim’ and ‘The Ripple Effect’ stamp sets. To start with I stamped on Acetate with black Staz On Ink and fussy cut the images out and set them aside while I created my background. 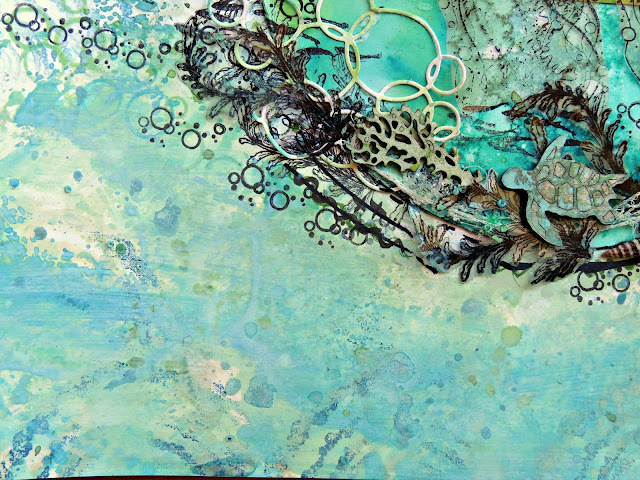 The background colours and texture is created with Distress Ink Oxides, Distress stains and ART -C water brush pen. 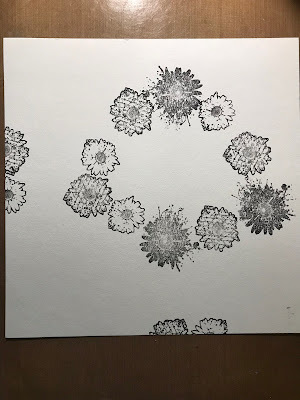 I stamped ‘The Ripple Effect’ stamp on the background using the distress ink oxide ink pads masking half of the stamp off to create a half circle pattern. When you stamp them together they look like a wave! 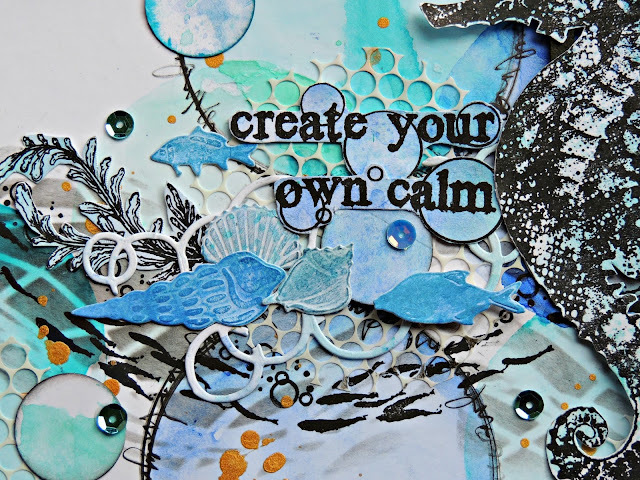 Add some more stamping in black using the smaller bubble stamps from the Ripple Effect set across your page along with the fish from Dare to Swim. That’s it from me today, don’t forget to use your stamps on all sorts of different projects AND materials to get the most out of the stamps! 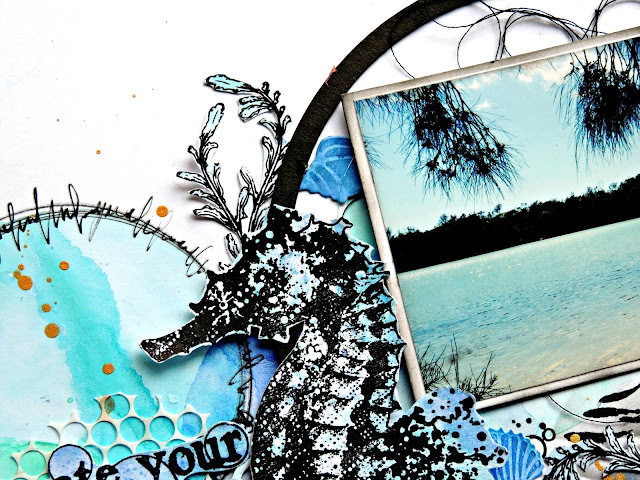 We will be back tomorrow with ‘double’ fabulous inspiration from Pauline and Becca! Thank you for all your gorgeous work and your fantastic support, and we are lucky to now have you as a wonderful friend!